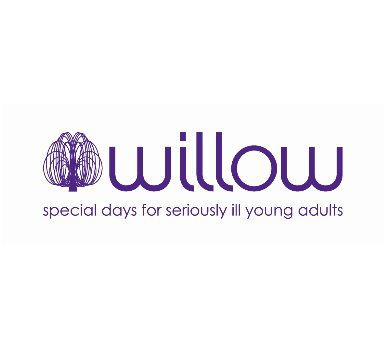 Willow is the only national charity working with seriously ill 16-40 year olds to provide uplifting and unforgettable Special Days. Every year the charity aims to fulfil more than 1000 Special Days for those living with life-threatening conditions such as cancer, motor neurone disease, cystic fibrosis and Huntington's disease. These Special Days enable them and their families to reconnect and refocus on each other while enjoying an activity of their choosing. A day for them, a day about them and a day that will create memories they will all treasure forever. For some their Special Day is the opportunity to return some normality to their lives. For others it is the last chance to fulfil a dream. But for all, at what is the most difficult of times, a Special Day is a life-affirming experience that can lift spirits, reunify families and be a source of strength when it's needed most.